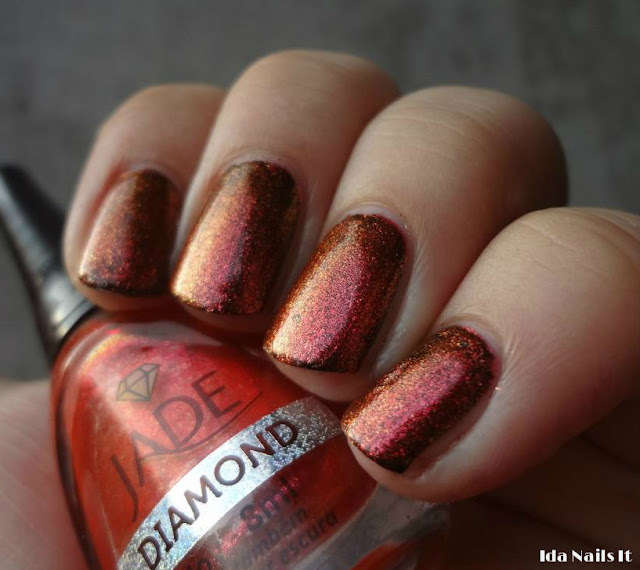 I do love my Jade Holographic polishes, so when I saw that Jade Diamond polishes were available to purchase, I couldn't resist getting Scarlet and Joy. 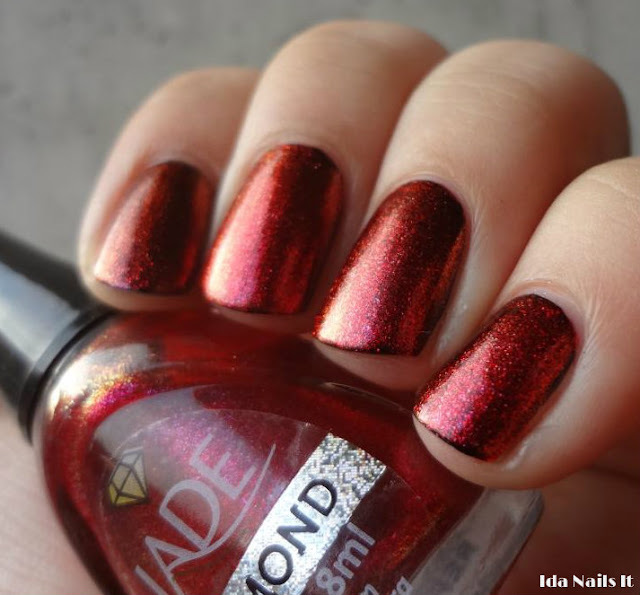 These are described as duochrome polishes and like many duochromes, they look best layered over a dark color. For both Scarlet and Joy, I applied a layer of black nail polish and then two coats of each color. If they were not layered, the Diamond polishes being on the sheer side, would probably need at least 3 coats to get full coverage. Joy has more of a duochrome color shifting effect than Scarlet, but of the two, I prefer the color of Scarlet. 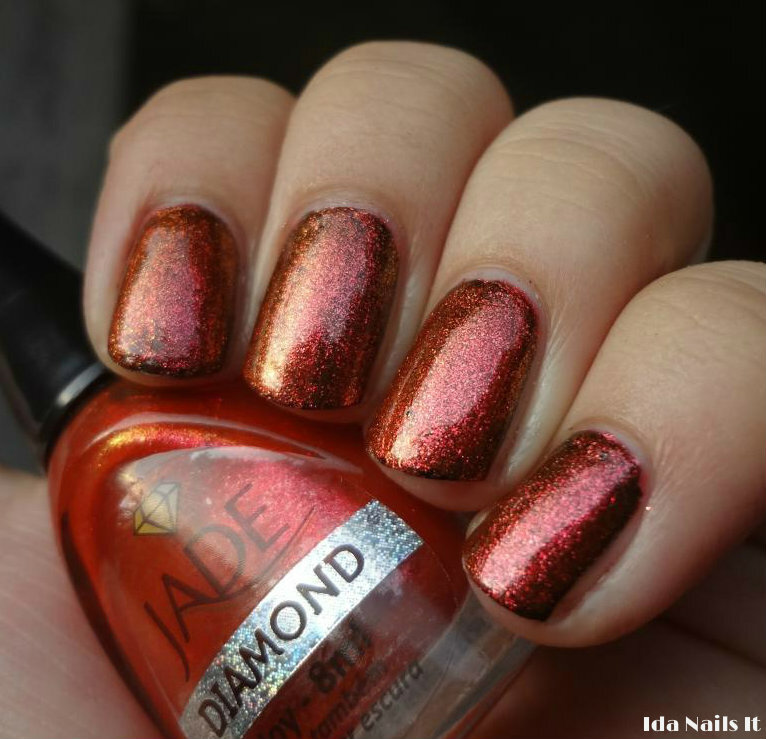 Joy is a coral polish, at some angles it looks orange, then yellow and then pink. Scarlet is very much a ruby red duochrome with flashes of orange. 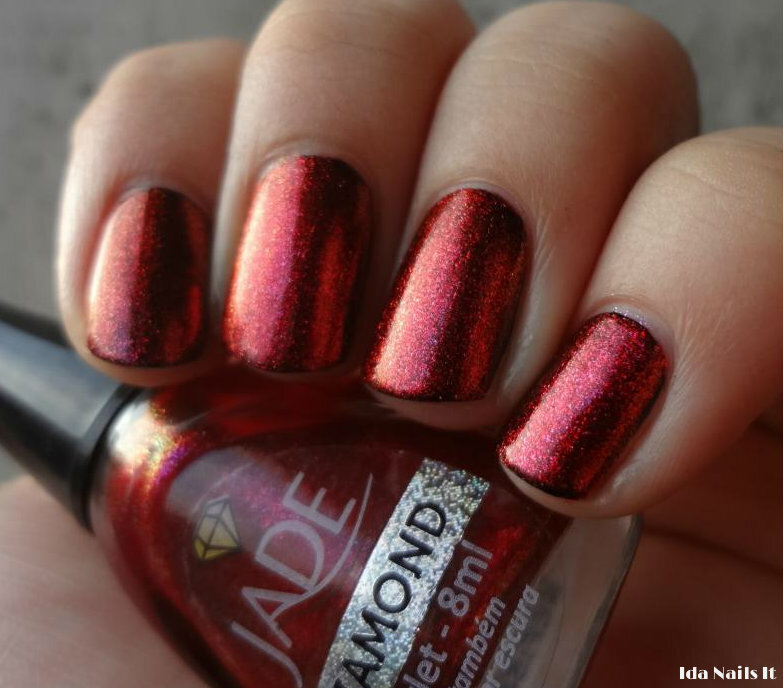 Jade Diamond polishes, including Joy and Scarlet, can be purchased at Llarowe and Ninja Polish. Both are gorgeous, but Scarlet is just WOW.